Yesterday we made bat silhouettes and today we decided to make some ghosts! 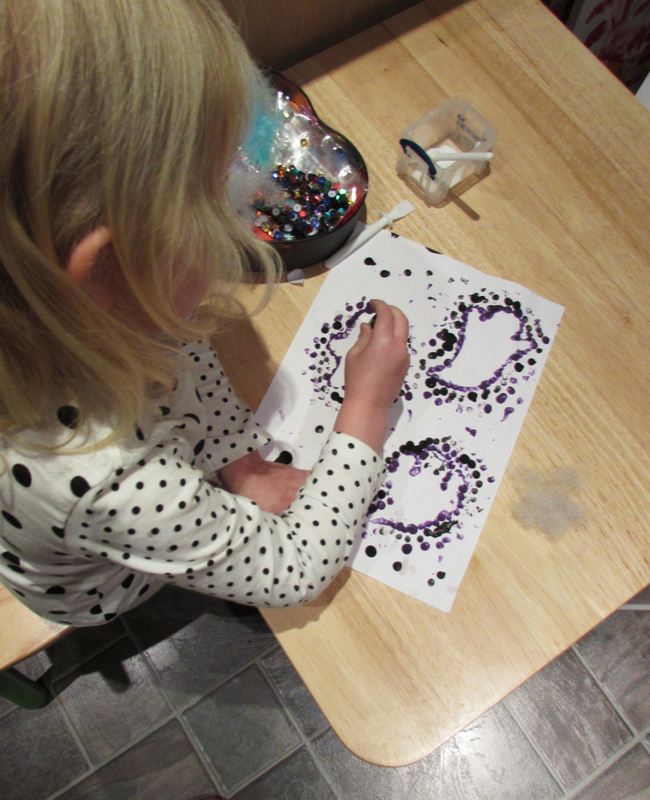 E enjoyed yesterdays craft so much that she was really keen to try the ghosts. 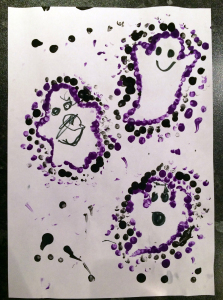 Printable Ghost Sheet or you can make your own. 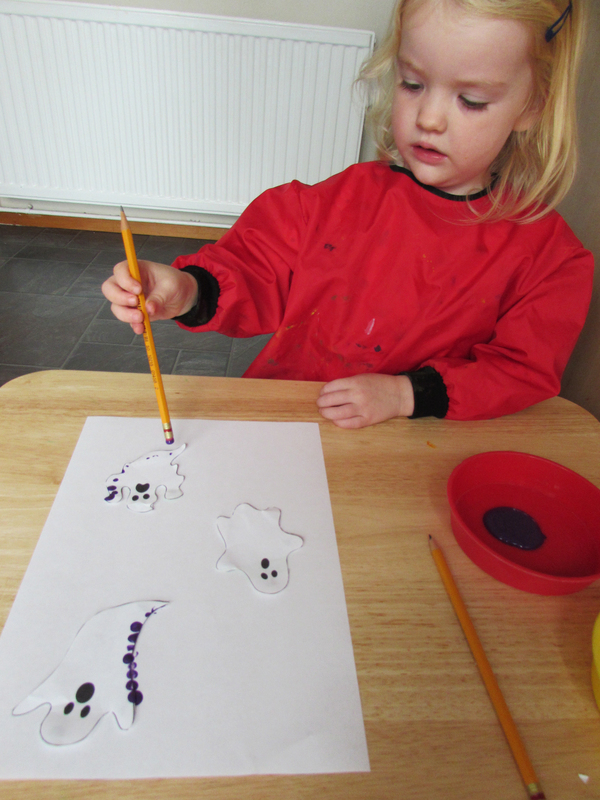 Firstly you will need to cut out the ghost template sheet, cut around them and attach them to a white piece of paper using blue tack or decorators tape, the ghosts need to be easy to remove. 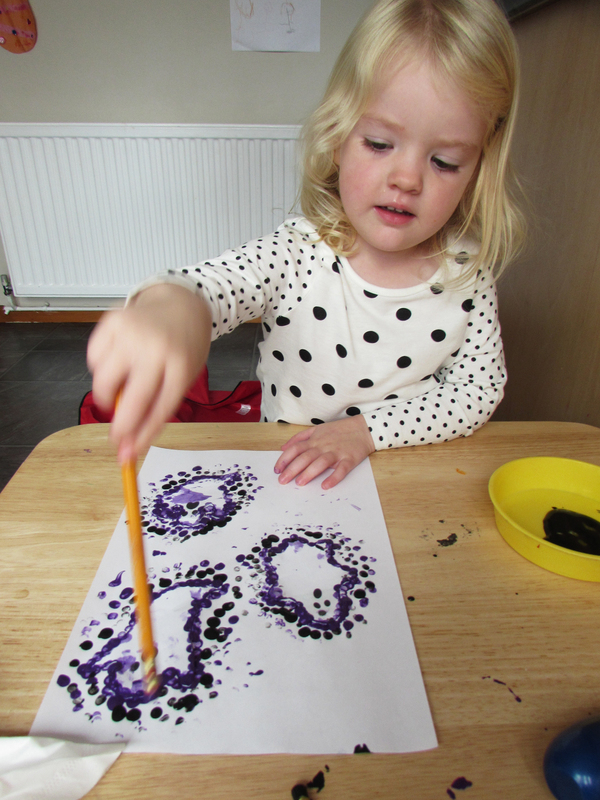 Pour out your two different colour paints into a paint tray and then turn your pencil upside down so you can dip the eraser into paint. Firstly dab paint around the edges of the ghost covering them completely. If you don’t have a pencil with an eraser you can always use your fingers. To get the faded look just keep dabbing the eraser until all the ink has gone and then dab again. Alternate the colours when dabbing to get a good effect. After you have finished dabbing put to one side to dry, once dry carefully peel of the ghosts and you will hopefully have the outline of the ghosts. Then all you need to do is take your black felt tip and draw eyes and mouths on your ghosts. Emily wanted her ghosts to look all friendly so she drew eyes an smiles. 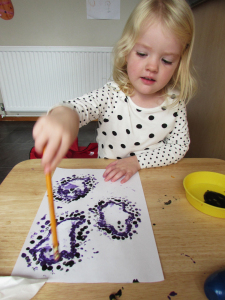 We had a lot of fun doing eraser painting ghosts and would recommend this fun craft to anyone with children. 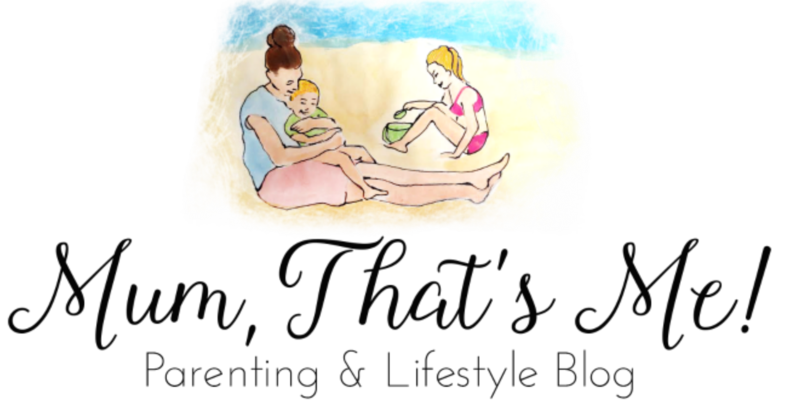 A lovely idea and perfect for practicing pencil control too.